Summer is Coming … Is Your Golf Outing Planned? Summer is coming, is your golf outing fundraiser planned? Golf outings can be a substantial chunk of your donated funds each year. But the execution of the event can be exhausting. Why not let us do that while you enjoy the event and your guests? At PIP we can make your golf outing fundraiser a hole-in-one! Call us at 201-939-8601 for a free consultation! In the list of the most stressful jobs of 2012, Event Coordinator was at number 6. Just so you understand that; number 5 is Police Officer. Number 4 is Military General! Be sure on the day of the event that you personally have absolutely no tasks to accomplish and let your team take the reigns (after all, you’ve communicated your needs to them right?). Don’t be a micro-manager and you’ll sleep well! Going on a Blind Date? Exhibiting at events is much like a blind date. You’re putting yourself out on the walkway and waiting for strangers to stroll by and like what you’ve got to offer. If you were going on a blind date, you’d wear your best outfit, get your hair done, and brush the lint off your jacket, right? 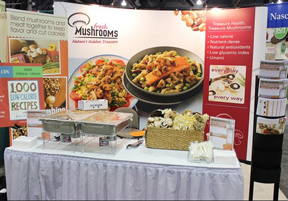 Vendor exhibitions are the ‘outfit’ and ‘physical presentation’ of your company and/or its products. So why not put on your best dress and most flattering makeup? If you need help creating a client-gathering expo booth, tent or other presentation area, why not call us. We know how to do that! We’ll create your graphics, layout, speaker plan and branding to make your booth stand out visually among the crowd. Positive Impact Partners – 201-939-8601. Need your event handled? Just phone us! 201-939-8601. I attended an expo last year that was geared towards attracting B2B visitors. Companies that served other businesses were invited to rent booths. There were over 50 booths, but one stood out in my mind. It was an entrepreneur who made a plastic change-sorting, tabletop coin bank. I went to his booth and watched a one-on-one demonstration. (I’d seen this product in other forms on TV, in catalogs and on the Internet.) A cute device, nothing new, but the main point here is that it was a B2C product – a consumer retail item. And it was being touted in a B2B event – a business service expo. I saw no one buying this product at the expo – because the attendees were looking for business connections, not a cute little bank. This vendor was at the wrong expo! Think carefully about what expos you participate in. Exhibiting at the wrong event can be very costly, and perhaps even damaging to how people perceive you. The exhibitor in my story spent $400 for his booth and probably sold one or two of his units the entire day. He spent all day there, too. And people most likely viewed him as a hindrance to their progress in making the expo rounds. His reputation as being smart was bruised. 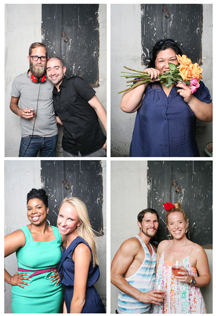 MAKE YOUR EXPO EXHIBIT A PHOTO BOOTH! Are you renting a booth at an exhibition this year? Here’s a great idea to gain more foot traffic at your location. Got an iPad or netbook, cell phone camera? You can use it to do a play-by-play starting the minute you begin to set up your booth. Take pictures as you set up, and immediately post them on Facebook and Twitter! Be sure to advertise your ‘photo booth’ plans a week before the event. Then, when guests visit your booth the day of the expo, ask them permission to take their photo, and immediately post them! You’ll have a play-by-play, real time photo album on line for all your followers to see. Place the first names of those photo’d in the captions as you post them to social media. Want to make memorable pictures? Kids, seniors and couples holding up your giveaways or a sign with your logo on it! (have a small permission slip handy to get permission to use their photo). 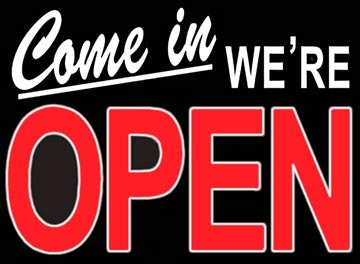 It’s 2014 and Positive Impact Partners is open and ready to help you make your 2014 a success. We help many of our clients ‘pump it up’ using marketing, advertising and social media to promote their businesses, causes and entrepreneurial ventures. Why not you? Just phone us and we’ll meet with you to discuss what we can do to help you succeed. We have a friendly, capable staff, with combined, over 100 years of experience in all areas concerning marketing you to the local area or to the world. 201-939-8601. We’re on YOUR team!